Our Black Lecture Chair is ideal for conferences, seminars and exams. Each chair features a small fixed writing table surface making these chairs ideal for when students or delegates may want to take notes or lean their laptop or tablet on a surface. 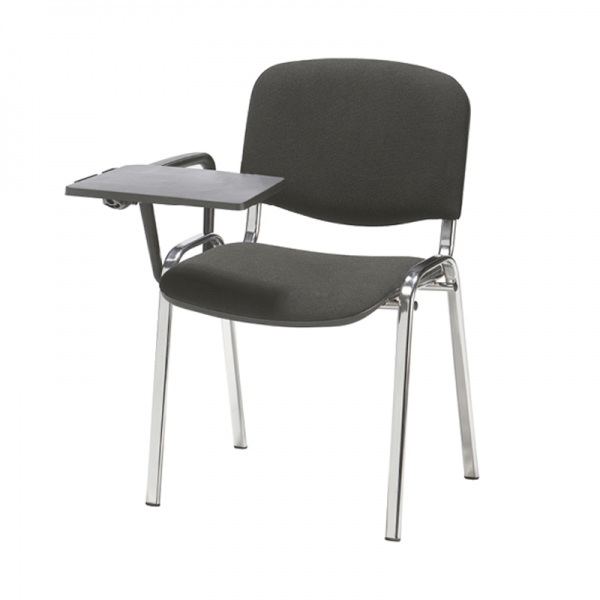 Our lecture chair is a classic design with a chrome frame and a lightly padded black seat pad and back. Our blue conference chair is a classic stacking chair that's ideal for events like conferences when ..